All this and more! Tune in next time to see my Zelgius Black Luna the crud out of everything including Surtr! Jokes aside, as lucrative this story has been orb-wise, I’m ready for change. 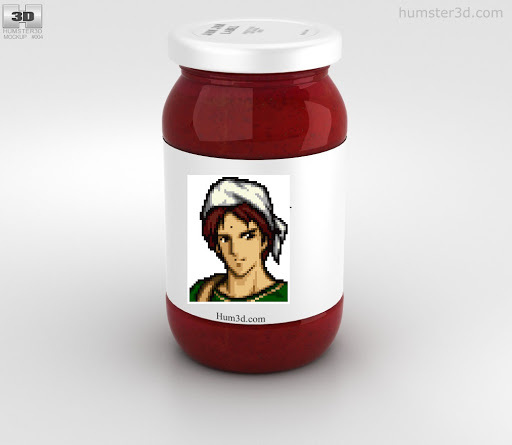 Like maybe involving Legendary Roy! I popped back into Heroes for the first time in months to pick up Jamjar, who's my fav character from Geneology, and my second fav overall according to an online test. And Sharena pops up to lay on a guilt trip about missing and worrying about me, before handing me twenty orbs as a welcome back present. This game is soooo clingy! I play a few games such as Pokemon go, Fire emblem Heroes, Kingdom hearts Union Cross and Final fantasy BE. And as for heroes book 2 I am wondering who died. We kbow that someone was used as a Sacrifice for the Rite of the Phoenix and two options were there. Veronica and Ylgr. Gunnthrà was killed by Surtr, not before giving the Order of Heroes the ability to possibly take him down which didn't end up working so maybe it was her? We have seen the one who is definitely Ylgr is alive in chapter 9. My boy Roy is currently loosing to Ephraim but that won’t stop me! Sorry but I'm on team Ephraim xD Speaking of him, I got both of the sacred stone twins as 5 stars today and 5 star focus Chrom! Had to jump at the chance while it lasts! 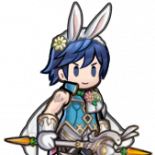 You thought it was Ylgr, but it was me Loki! ...In all honesty I predicted this. And fingers crossed I actually get a win in the VG. Wawawawait WAIT. BOOK 2 MAY BE ENDING THIS WEEK EITHER THE DAY BEFORE OR AFTER MY BIRTHDAY There's new banners on both of the days! Then there are quests for book 2 possibly indicatingnit ending! Plus......20? Plus *bleep bleep* 20? Sorry, but when the largest bonuses are still below double digits, that is insanely broken. I guess it was only a matter of time when the power creep became too much. Finally my very first partner in any Fire Emblem game is in FEH! Flora is pretty cool too I guess but honestly to me Felicia is the superior twin. Another thing that caught my eye was Laegjern's line at the end. Is she going to sacrifice herself to save the captured princesses? I was expecting Helbindi to be the one to do something like that. Well anyway I hope book 2 ends off well but definitely may need to remember the tissues, I have a feeling it will be like the chapter when Gunnthrà died. RIP Laegjern but I do have to say the ending was absolutely beautiful between Fjorm and Hríd (and Ylgr for like a split second xD) however it is confirmed that Fjorm has indeed been slowing dying this whole time at least she held on and didn't die during the story I guess? Well now to wait for book 3! Oh yeah my predictions also came true about Helbindi saving Ylgr and Veronica and we saw Bruno again! Might want to put that stuff in a spoiler tab Pearl! So I try pulling on the Muspell banner on FEH and no luck...except for two off banner 5☆s! A dupe Elincia and my 4th Zelgius! Yay! Well I got Nintendo’s new mobile game “Dragalia Lost” so I’ll give it a try when I can. It honestly looks like fun.